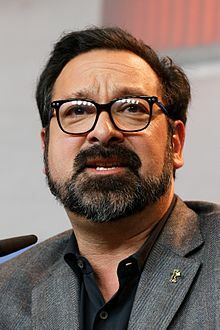 James Mangold (born December 16, 1963) is an American film and television director, screenwriter and producer. He is best known for directing the films Cop Land (1997), Girl, Interrupted (1999), Kate & Leopold (2001), Walk the Line (2005), 3:10 to Yuma (2007), and Knight and Day (2010). Mangold also directed the superhero films based on the Marvel Comics character Wolverine, The Wolverine (2013) and Logan (2017), the latter of which earned him a nomination for the Academy Award for Best Adapted Screenplay. He also produced and directed pilots for the television series Men in Trees (2006–2008), NYC 22 (2011–2012), and Vegas (2012–2013). Mangold was born in New York City, and is the son of artists Robert Mangold and Sylvia Plimack Mangold. His mother is Jewish and he describes himself as "half-Jewish." He was raised in New York State's Hudson River Valley. After graduating from Washingtonville High School, Mangold was accepted into and later attended the California Institute of the Arts film/video program. While there, he mentored under Alexander Mackendrick. During his third year, Mackendrick suggested that Mangold should study at CalArts School of Theater as an actor alongside his regular film studies. In 1985, Mangold secured a writer/director deal at Disney. He wrote a television movie and co-wrote the animated feature Oliver and Company. A few years later, Mangold moved to New York and applied to Columbia University's film school, where he graduated with an MFA in film. While there, he studied under Miloš Forman and developed both Heavy and Cop Land. He has worked as a feature writer and director since 1995, when his first feature, the independent film Heavy, won the best directing prize at the Sundance Film Festival. Mangold subsequently wrote and directed Cop Land, starring Sylvester Stallone, Robert De Niro, Harvey Keitel, and Ray Liotta; Girl, Interrupted, which won the Best Supporting Actress Oscar in 1999 for Angelina Jolie; Kate & Leopold, starring Meg Ryan and Hugh Jackman, for which Jackman was nominated for a Golden Globe as best actor in a musical or comedy in 2001, and the 2003 thriller Identity which starred John Cusack. In 2005, he co-wrote (with Gill Dennis) and directed Walk the Line, a film about the young life of singer-songwriter Johnny Cash and his relationship with June Carter Cash. It stars Joaquin Phoenix and Reese Witherspoon and was released on November 18, 2005. He also served as producer under his production banner, Tree Line Film. It was nominated for five Oscars and Witherspoon won Best Actress for her performance as June Carter Cash. Mangold also appeared as an actor in The Sweetest Thing as a doctor and love interest to Christina Applegate as well as in his own Kate & Leopold playing a movie director. In June 2011, Mangold was hired, initially just to direct the X-Men movie The Wolverine. 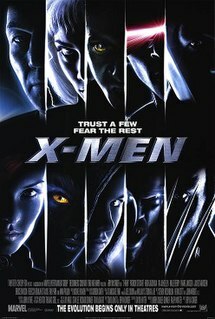 Along with screenwriters Christopher McQuarrie, Scott Frank and Mark Bomback, Mangold also adapted the screenplay based upon Frank Miller and Chris Claremont's Japanese Wolverine saga and entered production in Japan and Australia in July 2012. He completed photography in November of the same year. On release, it was a box office success, ending up with a worldwide gross of $414,828,246 with a budget of $120 million, according to Box Office Mojo. 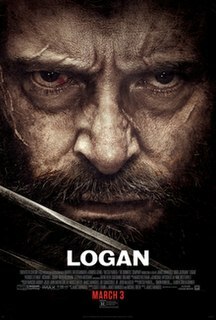 Following the box office success and moderate critical response to The Wolverine, Mangold signed on to write the story and direct the sequel, Logan (2017). The film marked Mangold and Jackman's third collaboration. Scott Frank was hired to return as co-screenwriter, working as a team with Mangold. The development of the film was lengthy, with Jackman citing his and Mangold's desire to do the character justice for his last time in the role. The film incorporated elements from Mark Millar's Old Man Logan run on the comics. Mangold has stated that the plot primarily focuses on character development, rather than superhero spectacle. Logan was a commercial success, and received high praise for its gritty approach on the titular character and emotional depth. 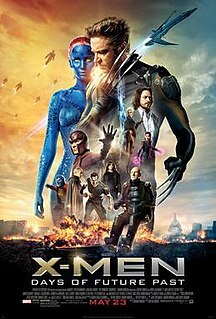 Often called one of the greatest superhero films of all time, the movie also earned an Academy Award nomination for Best Adapted Screenplay, becoming the first live-action superhero movie to be nominated for Adapted Screenplay, as well as Mangold's first Oscar nomination. In March 2017, Mangold was in negotiations with Fox to develop and direct an adaptation of Don Winslow's upcoming novel The Force about corrupt NYPD officers. In June 2017, Fox set a release date for The Force for March 1, 2019. Later in February 2018, it was announced that Mangold was set to direct a film about the 1966 24 Hours of Le Mans, with Christian Bale and Matt Damon starring as Ken Miles and Caroll Shelby respectively, and Jez Butterworth and John-Henry Butterworth writing the script. In 1999, he married film producer Cathy Konrad; they have 2 sons. In 2014, the couple announced that they were divorcing. 1988 Walt Disney's Wonderful World of Color No Yes No Episode: "The Deacon Street Deer"
2006–2008 Men in Trees Yes No Yes Episode: "Pilot"
2012 NYC 22 Yes Yes No Episode: "Pilot"
2012–2013 Vegas Yes No Yes Episode: "Pilot"
^ Jeng, Jonah (March 6, 2017). "Walking within the Lines: The Films of James Mangold". Paste Magazine. Retrieved March 14, 2017. ^ a b Esther, John (Winter 2007). "Avoiding Labels and Lullabies: An Interview with James Mangold". Cineaste. 33 (1). Archived from the original on February 6, 2012. Retrieved July 21, 2013. ^ "Interview: 'Logan' director James Mangold." Applebaum, Steven. The Jewish Chronicle. Published March 3, 2017. Accessed April 8, 2017. ^ a b c d e Ivry, Bob. "Director brought edge to 'chick flick'". Reading Eagle, January 11, 2000, p. D5. Retrieved on July 22, 2013. ^ James Mangold | Columbia University School of the Arts Archived December 12, 2013, at the Wayback Machine. Arts.columbia.edu (June 24, 2010). Retrieved on March 11, 2017. ^ Blair, Ian. "Mangold gets big names to come on board". New Straits Times, August 21, 1997, p. 5 (Life & Times). Retrieved on July 22, 2013. ^ Turner, Miki. "Hugh Jackman's Charm". Lakeland Ledger, December 26, 2001, p. D5. Retrieved on July 22, 2013. ^ Tinsley, Brad. "'Identity' is a hair-raiser; 'Anger Management' frustrates" (Review). Herald-Journal (Spartanburg, S.C.), September 12, 2003, p. D7. Retrieved on July 22, 2013. ^ "The Wolverine". Box Office Mojo. ^ Vejvoda, Jim. (March 28, 2015) Hugh Jackman: 'Wolverine … One Last Time'. IGN. Retrieved on March 11, 2017. ^ 'Wolverine 3': Hugh Jackman Offers Update. Hollywood Reporter (October 4, 2016). Retrieved on March 11, 2017. ^ 'Wolverine 3' Update: Hugh Jackman Reveals Script Is Almost Finished, Release Date Expected 2017. Christianpost.com. Retrieved on March 11, 2017. ^ 'Wolverine': Hugh Jackman Teases 'Old Man Logan' During Comic-Con. Screenrant.com. Retrieved on March 11, 2017. ^ James Mangold Reveals How Logan Is Different From Other Super Hero Movies. Comicbook.com (March 2, 2017). Retrieved on March 11, 2017. ^ Saad, Nardine (January 23, 2018). 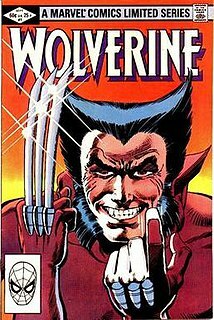 "'Logan' Director James Mangold Surprised that Wolverine Film Got Him His First Oscar Nod for Adapted Screenplay". The Los Angeles Times. Retrieved January 25, 2018. ^ McNary, Dave (March 16, 2017). "'Logan's' James Mangold to Direct Fox's NYPD Drama 'The Force'". Variety. Retrieved March 17, 2017. ^ "Fox to Release NYPD Thriller 'The Force' in March 2019". Wikimedia Commons has media related to James Mangold. Shane Salerno is an American screenwriter, producer, and director. His writing credits include the movies Armageddon, Savages, Shaft, and the TV series Hawaii Five-0. He was chosen by director James Cameron to work on the four sequels to Avatar, set to release in 2020, 2021, 2024 and 2025. He spent ten years writing, producing, financing, and directing the documentary Salinger, and co-writing with David Shields the companion book which became a New York Times bestseller. Salerno is also the founder and president of The Story Factory, which produces film and TV series based on literary properties.